HomeTravel TipsFour Seasons Hualalai vs. Hualalai Villa Rental? 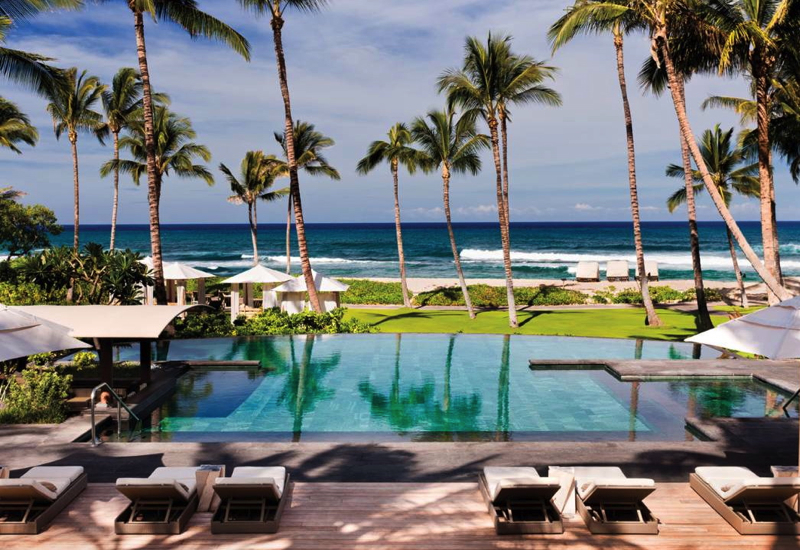 Four Seasons Hualalai Resort vs. Hualalai Villa Rentals: What Are the Pros and Cons? I often receive questions from clients who are traveling as a family, extended family or group of friends about the pros and cons of staying in a Hualalai villa, vs. staying at the Four Seasons Hualalai resort. TravelSort books both options for clients, so I thought it would be helpful to explain some of the key differences and considerations, especially as Four Seasons Hualalai, together with its recently renovated sister property Four Seasons Lanai, remain the most coveted Hawaii luxury resorts. Kids For All Seasons children’s program (ages 5 to 12 years) open from 8:00 am to 5:00 pm with daily activities. If you're staying in one of the villa rentals, a resort fee is charged that is as high as $200-$250 per adult per day and $100-$150 per child 5-13 per day, during popular holiday seasons. If you're staying at Four Seasons Hualalai, you enjoy complimentary access to all chaise lounges by the resort's 4 main pools, which is convenient if one or more of you (particularly kids) is in the pool, and you want to be close by. During peak holiday seasons, Hualalai villa rental guests do not have access to any of the chaise lounges on the pool decks; they only have access to chaise lounges on the grass or on the beach. While my family doesn't make much use of room service, I have clients for whom this service is critical. It's important to note that only Four Seasons Hualalai guests enjoy room service, with the very limited exception of a few Golf Villas that are so close to the resort that they can enjoy room service as well. The one that is usually available is a 3 bedroom that goes for $3000 + tax or more per night. Four Seasons Hualalai reservations do require a 2 night + tax deposit at time of booking, but they may be changed or cancelled without penalty until 21 days prior to arrival for rooms, and until 30 days prior to arrival for suites. In contrast, each Hualalai Villa has its own deposit and cancellation policy, but a common one is a 50% non-refundable deposit at time of booking, with the remaining balance due 65-90 days before arrival. Keep in mind there can also be significant refundable security deposits, not to mention the resort fees mentioned above and cleaning fees. Unquestionably the greater living space is what leads most clients to prefer a Hualalai villa rental over a stay at the resort. While even entry level rooms at the resort are not small, at 635 square feet, and entry level suites are 1050 square feet, a typical 2 bedroom villa boasts 1650 square feet or more of interior space, plus 200-400 square feet or more of lanai or terrace space. For families that want the flexibility of cooking some of their meals, have a small child that will require sterilized bottles, or wants to entertain, a villa rental is a must, since even suites at the Four Seasons Hualalai do not have kitchens. With a villa rental, you get to choose the exact villa you'll be in, and don't have to wonder where you'll be. The downside is that you also can't move to another villa if you're disappointed in any aspects, nor is there any potential for an upgrade. Because of the significant resort fee per guest per day, villa rentals tend to work best for guests who plan to spend at least some days away from the resort entirely. Keep in mind that for days that villa rental guests do want to use resort facilities, these must be at least two consecutive days and may only occur once during the stay. For example, over a 7 day villa stay, guests might opt out of resort facilities for the first 4 days, then pay for resort access for the last 3 days. It would not, however, be permissable to do the first 2 days with resort access, 3 days without access, then 2 days with resort access; all resort access must occur once, for a minimum of 2 consecutive days. Also keep in mind that Hualalai villa rental guests use the Hualalai Club Concierge, and that Club Concierge access is only available on days that resort access is paid for. Hualalai villa rental guests do not have access to the Four Seasons Hualalai Concierge Team. If you've stayed at a Hualalai Villa, what was your experience?